All of the above is invalidated by an observation which should not be visible on a globe, which you can search for and find plenty of. Inconsistency makes the sinking ship effect invalid as a proof of a globe. Assuming that his work is accurate (I did not bother to check), it "almost" fits what refraction predicts, meaning that it doesn't fit what RET would predict without refraction at all. Sizes and elevations never do agree with RET. Sometimes it can get close, but it does not agree with RET. It changes often, from day to day, even hour to hour, and requires another invented science to fill in the gaps. Your pictures provide valuable information. In my opinion the current status of this matter is that we are past the point of single pictures. All day time-lapses are now desired to make progress on determining the matter of sinking. Sometimes bodies in the distance are sunken and sometimes they are not. If a picture is worth a thousand words, a time-lapse is worth a thousand pictures. The moon moves at a slightly different rate than the sun. After 14 days, at the same time point in the day, the moon is on the other side of its orbit. It stands to reason that the process may appear reversed. I like where Curious Squirrel is going with his line of thinking. In the past there has been a lack of interest in EA theories, since there was no evidence that light was bending upwards. However, in the last year there has been some evidence that light is bending at large scales. JTolan has some interesting videos on his channel where a camera with an infrared filter is taken up on a plane and he is able to see much further than the Round Earth Theory should allow. 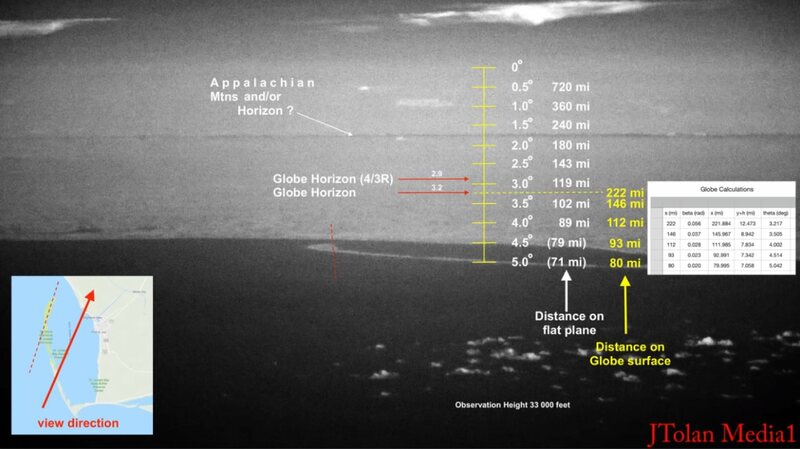 In his videos he performs analysis showing that, although he can see various bodies much further than should be seen in his videos, the horizon is never where it should be on either a Flat Earth or a Round Earth prediction. "Globe Horizon" is the prediction for the globe. 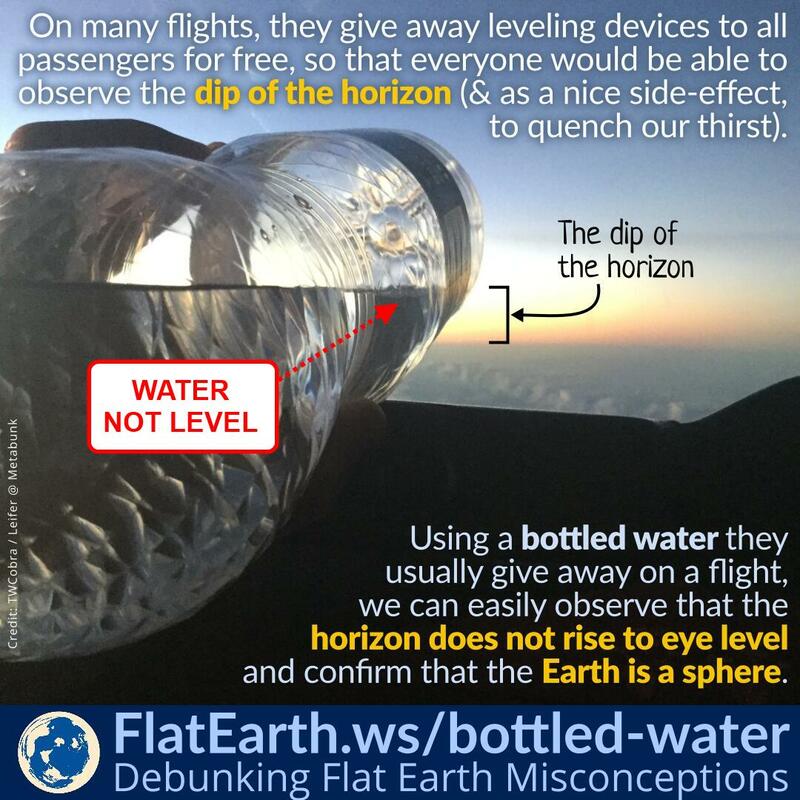 "Globe Horizon (4/3R)" is the globe earth + standard refraction theory. If the earth is flat, JTolan's work might suggest that light is bending upwards on a large scale. Previous Thread: IR Video from FL310 -> 500 mile visibility? It may be that the Sun and Moon are high enough bodies that the vanishing point, or atmolayer buildup, or whatever is limiting light and visual propagation on the surface, has less effect between bodies of higher altitudes. Would you say that we see further from the top of a mountain than we do at sea level? Not much is known about the celestial bodies and their distances. There is some agreement in the Flat Earth literature and by the wider Flat Earth community that, whatever their distance, they manifest as projections upon the atmosphere and are personal to the observer. A projection may turn to face you. As an example of something in the atmosphere that turns to face you, consider rainbows. They are never seen from the side-on. The Concave Earth Theory is an offshoot of Earth Not a Globe by Samuel Birley Rowbotham. Some of Rowbotham's experiments are used as evidence. The current main website of the Concave Earth "Society" is The Wild Heritic. They have some interesting content. Per the concave earth experiments, I believe that some of the sight experiments that they promote are true. Light seems to have a habit of bending upwards and downwards throughout the day. 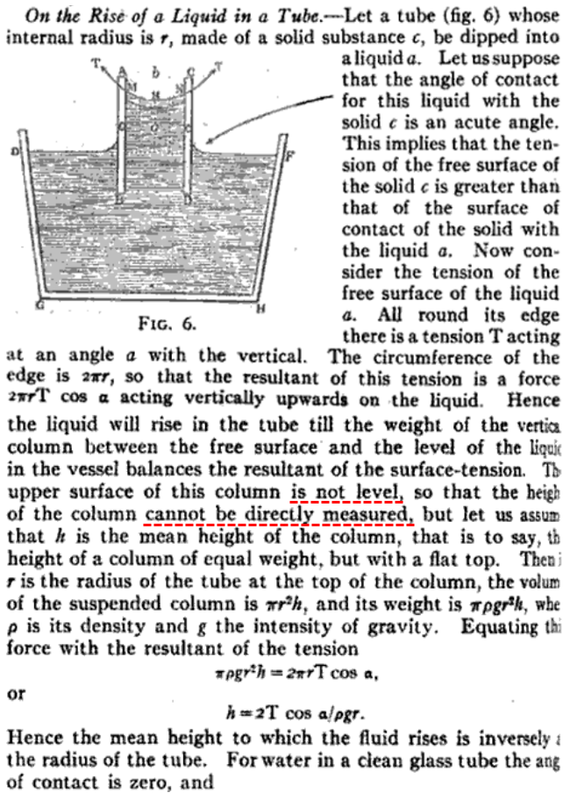 It is my opinion that, due to this, the most compelling experiments are the ones which take refraction into account or provide multiple control points, such as Rowbotham's Experiment 2. On analysis of Rowboham's second experiment, if the earth were a globe or concave, one important remark would be that it is quite the coincidence that the flags all experienced the flat earth refraction effect, one by one, all the way down to the end, which projected each flag into the air at the exact height they needed to be at in order to make things look flat in accordance with the distance looked across and the height of the observer. Flat Earth Theory / Re: Moon transparency. He's comparing the temperature of space to the temperature of the moon. This does not tell us whether the light of the moon cools objects. The moonlight does not cause an object to get colder. It’s the object in the shade that gets warmer. When an object (or surface) is covered or shaded with a hand, roof, tree or cloud, it radiates less of its heat into the night air, and it will become slightly warmer than an object (or surface) that is exposed to the open night sky. Actually, the Moon’s light (which is, of course, reflected sunlight) doesn’t have anything to do with it at all. It’s all about Radiative cooling. Temperatures of surfaces under an unobstructed night sky will lose more of their heat than surfaces with obstructions, roofs, trees or clouds over them, and this happens even on nights when the Moon isn't present (which makes it harder to see, of course). This sounds like a quite reasonable explanation to me. That article is talking about the YouTube cold moonlight experiments, where things are left outside at night in moonlight and under the shade of a tree. The scientists I quoted were not leaving tin foil and other things outside. Light is collected and concentrated directly from the moon with lenses and special equipment. how about you try addressing my questions this time instead of ignoring them. Why? I don't find the subject to be a debatable matter. No matter how much you guys claim that the scientists were wrong, or that it can be explained by some proposed physical effect, those were simply the reported results of emperical scientific investigation. They are claims of astonomers and scientists, not Rowbotham. I am sure that they imagined some things to explain it at the time too. It was science and multiple astronomers and scientists who were claiming that stars sometimes occulted the moon and that the light of the moon registered as either no change or caused a cooling effect with the special and sensitive tools used. Those are their claims. Rowbotham references them. In the "Lancet" (Medical Journal), for March 14th, 1856, particulars are given of several experiments which proved that the moon's rays when concentrated, actually reduced the temperature upon a thermometer more than eight degrees. Even when the moonlight has been concentrated by large concave mirrors on delicate thermometers they have failed to cause any increase of temperature. One astronomer thought that he has obtained a degree of heat from the moon on the top of Teneriffe; but his instrumental means were imperfect. Professor Tyndall says that his experiments indicated rays of cold from the moon. But with Seebeck's discovery of the exactation of electricity by the action of heat upon vertain electrical conductors came a method of detecting changed of temperature infinitisimally small. When plates of two metals, say bismuth and antimony, are soldered together and the point of junction is heated, an electric current is established from one metal to the other; this may be carried off by writes and caused to deflect a galvanometer, the needle of which becomes an index whereby the greater or less intensity of the current can be measured; and since the current varies with the warmth that generates it, the measure of the one becomes a measure of the other, and the metal plates and needle together form a thermometer very different from the instrument to which we generally apply that name. Now, by multiplying the metal plates and increasing the delicacy of the galvanometer, any degree of sensitiveness can be secured; indeed the instrument may be rendered so acute as to be unmanageable, the warmth of a man's body several yards off sufficing to set the needle a-quivering. Melloni was the first to apply it, in some of his early experiments he succeeded in measuring the vital heat of different insects and in detecting the warmth accompanying the luminous glow of phosphorous. It was while performing this last test of the powers of his new calorimeter that he bethought himself of trying it upon the moon. So he concentrated the lunar rays, by means of a metallic mirror, upon the face of his thermopile, in the hope of seeing the needle swing in the direction indicating heat; but it turned the opposite way, proving that the anterior and exposed surface of the pile was colder than its posterior face. Here was an anomaly. Did the moon, then, shed cold? Mr. Park Harrison, who has devoted a vast amount of time to the collation of meteorological observations, finds unmistakable evidence of them. But a strange apparent anomaly is revealed :--When the moon gives us most warmth we feel the greatest cold! The explanation of this lies in the fact of the slight clearing tendency above alluded to. The clearer the sky the more freely the earth's heat passes away into space, and consequently the colder we feel. So that while the moon warms us she cools us. The experiment is subject to a number of possible systematic issues. For one thing, the experimenters are using colored water, which makes it difficult to see if the surface is level or not. 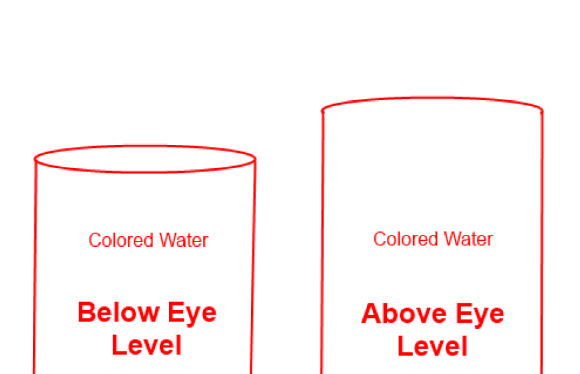 The full upper surface is seen when the eye is above the water column, but when the column is above the eye one can't easily see through the colored water to see if it's level or not. This makes it more likely to be too high than too low. If we were to tilt the device, lowering down the bottom lip of the background container to match the bottom lip of the foreground device, we can clearly see that it would be a different result. The matter is not impeached simply because you can reference a YouTube video, or can find a alternate device which was faulty, or can provide a quotation about surveying from an obviously biased source. Actually, it is. These people put their devices under a little scrutiny, and found that they were imperfect. Why should we assume that the people who did not put their devices under scrutiny are perfect? If some devices were found to be imperfect, then anyone doing this experiment should scrutinize their tools as well. Obviously biased? Is the surveyor quoted a flat earther? We must always ensure that our tools are accurate for the job. The fact that anyone could think that we do not need to ensure accuracy says volumes. I find your argument that testing for accuracy is not needed to be totally invalid. It may be that the horizon does drop at higher altitudes for various reasons, but this tool may be unreliable to show us exactly where eye level is.